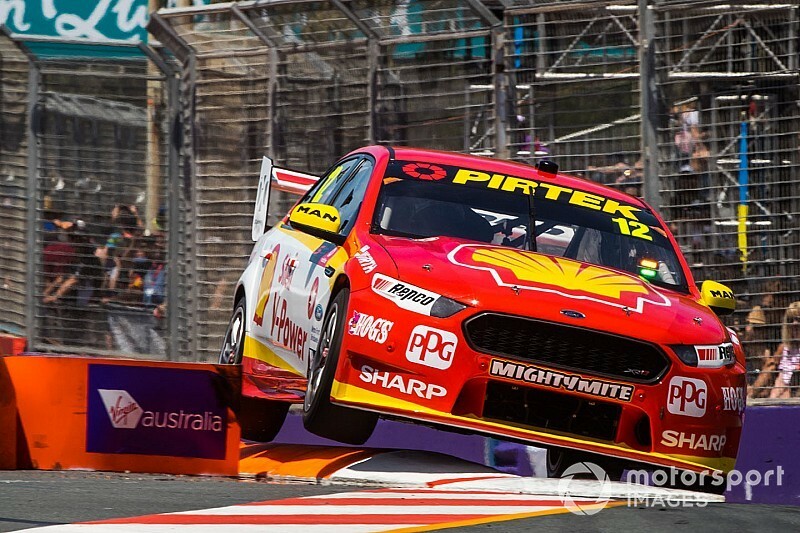 DJR Team Penske has backed its strategic priority of its #17 entry over the #12 car on the Gold Coast today, a decision that ultimately helped Scott McLaughlin take the Supercars points lead. The team was backed into a strategic corner in the early stages of today's race, a brush with the wall while Alex Premat was at the wheel of the #17 Penske Ford leading to Tony D'Alberto sneaking past in the sister #12 car. 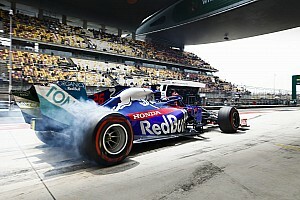 That meant the squad's title contender lost its pit priority in the event of a Safety Car, a scenario that did indeed play out when Will Brown ended up in the wall on Lap 23. The DJR Team Penske strategists made an immediate call to short-fill the D'Alberto/Fabian Coulthard car, ensuring it was clear of the box by the time that Premat arrived. That set the #12 up for a race-long battle with fuel economy, Coulthard dropping way down the order to 11th by the finish. 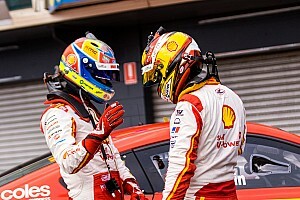 However it meant Premat and McLaughlin could stay in the fight, the pair finishing fifth to help McLaughlin take over the Supercars points lead. "We have to make decisions sometimes that are for the betterment of the team as a whole," explained DJRTP's managing director Ryan Story. "That’s something that we communicate with our drivers and with our crew, and sometimes that does require making tough calls on the strategy front, where effectively one car is disadvantaged over another. "Scotty is fighting for the championship and we have to think big-picture. If we have any say in it, we’re going to be in this thing right until the end. We want to keep pressing on and keep fighting as had as we can and we’re going to continue to play the team game through to the end. At the end of the day, this comes from the top, it’s part of the culture of Team Penske across the board; when the team wins we all win. "That’s our mentality, the team comes first." Rivals Triple Eight went the other way with its two cars, attempting a full service on the #1 Red Bull Holden while Earl Bamber sat idle in the lane in the series-leading #97 car. Paul Dumbrell then stalled as he tried to exit the bay, before clattering into James Moffat and earning a drive-through penalty for an unsafe release. 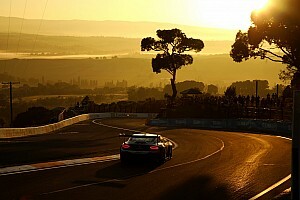 Bamber was then released into the path of Garry Jacobson, which meant both cars were penalised. 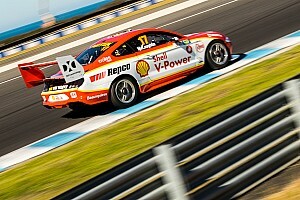 Shane van Gisbergen fought back to 10th in the #97, but still lost the points lead to McLaughlin. According to team manager Mark Dutton, the team didn't consider sacrificing the Whincup/Dumbrell car to help van Gisbergen. "No, we're just... just racing," he said. "It's a tough one to call. You can easily say now all the things I could have done better. You've got to look at it. "There are different times in the season that you go to that extent. 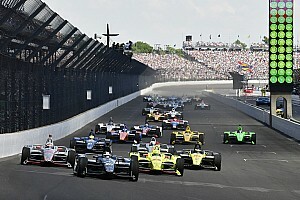 And I totally understand it, [Penske is] totally focussed on the one car that can win it. 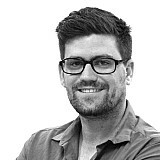 "It's something we'll review and look at and see what we could have done better. "We try and avoid throwing cars under the bus, for sure. You try and come up with alternate scenarios, strategies, which allow you to not have to throw one car under the bus. "It's not always possible, it's quite difficult. "The first thing is to fix all the little mistakes, because they happen irrespective of which car it was. Our main focus is what went wrong, why did it go wrong, how are we going to make sure it doesn't go wrong again. "And then we'll worry about okay, this car gets priority over that car."